Born in the Glasgow area of Scotland on 11 February 1842, the eldest son of James Stewart Wright (1812-1902) and Jean Porterfield Malcolm (1815-1895), in 1853 he came to Canada with his parents and older sister, Elizabeth. They settled in Ontario and Wright served his apprenticeship in Paisley, Ontario, with Elizabeth’s husband, James McGavin, a tanner and harness maker. He travelled to the southern United States where he made war harness for the Confederate army during the Civil War, then drove a mule team west to California, missing the gold rush by some twenty years. He worked his way north to the Caribou and panned for gold along the North Saskatchewan River for a couple of years. In 1869, he wintered at Fort Carlton where he met Mary Ramsay who was employed there as mother’s helper to the Factor’s wife. They were married in Winnipeg’s Red River Hall on 11 November 1869. Six of their children grew to adulthood. 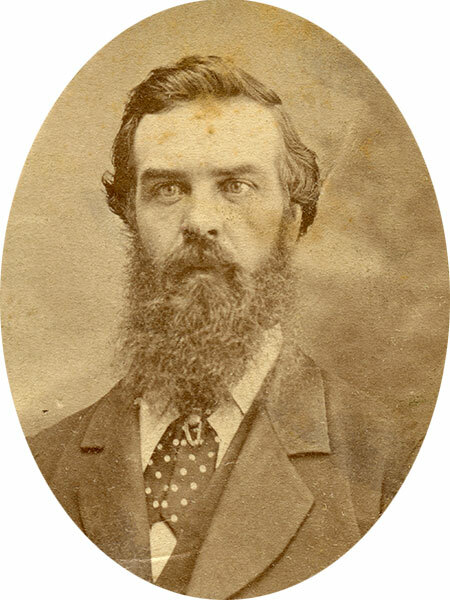 Wright was a member of Schultz’s Canadian Party and, six weeks after the wedding, he was among those arrested by Louis Riel. Wright became a partner in Robert Stocker’s saddlery and, when Stocker moved to Headingley, he and Angus Arbuckle formed what became the Winnipeg Saddlery, located in the general area of Winnipeg City Hall. When Arbuckle left, around 1900, the company’s bookkeeper, Thomas A. Van Vliet, took his place and remained the saddlery’s president until the early 1930s. Wright owned 2,300 acres of land on the south bank of the Assiniboine River, stretching west of Kenaston Street, which included the property now occupied by Assiniboine Park and the parcel on Doncaster which began as the Agricultural College and is now the Asper Jewish Campus. During the earlier part of his life in Winnipeg he was a member of the first board of Winnipeg school trustees and, with W. G. Fonseca and Stewart Mulvey, built the first public school. He was an alderman in Winnipeg’s first council after its incorporation as a city, presiding over the finance committee. He was also a part owner of the Leland Hotel which used to stand on William Avenue. He died at his home on Academy Road, Tuxedo Park, on 10 March 1912 and was buried in the St. James Cemetery. He is commemorated by Wright Street in Winnipeg. Grant MacEwan devoted a chapter titled “Pioneer at the Prairie Gateway” to the Wrights in his book The Sodbusters (Thomas Nelson & Sons Limited, Toronto). “Another pioneer joins majority,” Winnipeg Tribune, 12 March 1912, page 2. We thank Marilyn Boyle and Mike Smith for providing additional information used here.